From idea to impact - learn to leverage the best startup principles because good intentions are only the beginning. Hi, I'm Spike, founder of Spikelab and an ex Googler with a passion for social change and startups. 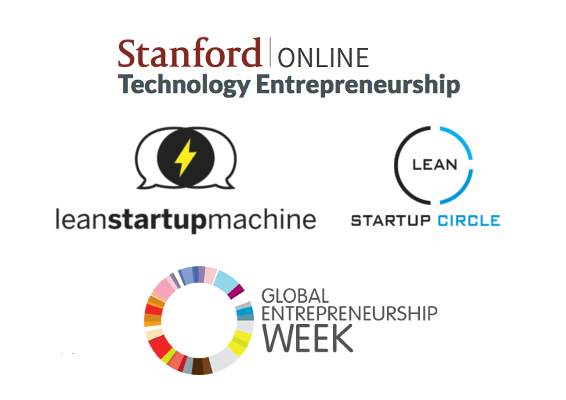 I co-run the Lean Startup Circle in San Francisco and I help teaching Stanford's Technology Entrepreneurship MOOC. I started a free mentoring program for social entrepreneurs hoping that more people with a wish to make a difference got the support they need to make that a reality. Spike is awesome! He got to the heart of our challenge quickly and provided our team with wonderful insight that helped put us on a clear, straight path to getting our product to market - in just one phone call! Even better, Spike is a generous man on an authentic mission to help people be successful in life and business. Spike was just great. He gave me the helicopter view of the path we are on, what we could choose to do now, and what lies ahead. He was generous with suggesting practical steps for right now, and also things to work towards. I hope to talk with him again. As soon as Spike started to speak - in a thoughtful, careful and considered way, I knew I was going to really benefit from listening to him. Spike had some good answers to my questions around pricing and ways to look at it not only in terms of finding a sweet spot, but also using it as a way to assert our values. And great follow up advice by email - thanks! I approached Spike unsure of what my next steps should be. He helped us to figure out just that and identify the key actions to build an experience that will wow our customers. Spike also pointed out very interesting strategies for testing monetization and getting that engine of growth going. Very useful. Thanks! Spike is incredibly insightful. He has a way of asking the right questions that gets you to see problems from a new perspective and with greater clarity. Every conversation with Spike, I walk away with an 'Aha!' moment that helps me move forward. I am incredibly inspired by Spike's advice + expertise in regards to applying lean start-up to my business. Spike is very knowledgeable, sharp and supportive. He's just the mentor we need and I am excited to be part of his mentoring program! Spike has a sharp mind and a well articulated analytic sense that cuts to the core of any question. The help he provided on Startup Advice allowed me to clarify my goals and refine who I think my audience is. I highly recommend talking to Spike! Spike asked hard questions and within the first few minutes of our conversation homed in on the core of most of my confusion. I now have an actual plan of attack that will get me the information I need to make the right decisions to move forward. At Spikelab we experiment with change, starting with ourselves. At the crossroad of purpose and mastery, we're always looking for the best ways to bring about the change the world needs. This can take the form of Lean Startup practices, Design Thinking, Psychology or meditation, often engaging with communities from all over the world. But most importantly we enjoyed the journey together and worked on being a living example of the change we wish to see. For the last 3 years I’ve co-run the Lean Startup Circle, a non-profit organization with over 80K members worldwide and started the Lean Startup Peer to Peer Circle, a peer based education program for entrepreneurs. Through Spikelab we've created KenDu, a unique mentoring program for early stages entrepreneurs that focuses on the long term success of the founder instead of short term business gains. I've hosted a number of workshops and mentoring sessions for various organizations worldwide including the Lean Startup Machine. I am teacher assistant for Stanford's Technology Entrepreneurship MOOC where I help thousands of students from all over the world spread their entrepreneurial wings. I also support entrepreneurship through week-long bootcamps during events such as the Global Entrepreneurship Week. Insights and reflections from doing startup and mentoring other entrepreneurs, sprinkled with a good dose of rambling on becoming a better person. When should gut override data? How much should you listen to customers? You're confusing problem and solution and it's killing your startup. Here's the fix. Trying to have an impact but got stuck? Or even just an idea you'd like to get feedback on? I'd love to help. I worked with hundreds of entrepreneurs to solve problems and I'd be happy to share what I learned in the process and help you apply it to your own social venture. Just click on a time slot from the list below that works for you, it's free no strings attached. Spike is an outstanding business consultant. We worked with him to find a new direction for a medium-sized non-profit organization called 'Sferracavalli' based in Southern Italy. His insights and his work on the field with us helped us focus on the important assets of our organization, on the core values that inspired us to create it, on our business model and on the definition of a set of rules/tools we need to keep the organization going. As a startupper I worked with a couple of consultants in the past. No one provided the kind of value Spike provided to us. Spike was generous, transparent, inspiring, precise. I'll definitely work with him again in the near future. Spike is an amazing person. Not only is he one of the most experienced Lean Startup advisers around, he is also genuinely committed to helping people learn and apply Lean Startup techniques. When was the last time you spoke to someone who listened empathetically to your situation and helped you identify your options? Someone who did so without judgement? Lots of people can give you snap advice or a quick answer to your question. Spike is different - he invests in you and makes you more capable of achieving your dreams. I recommend him unconditionally. Spike was able to identify specific and actionable things I need to do as I startup. Things that I had not thought of before. That's real value-add. The areas where he contributed with great ideas ranged from how to select a target market, pricing considerations and models, and trialing strategies. All extremely useful and practical. On top of all this, he followed-up our conversation with a summary outlining a recommended strategy I could immediately start to work on and see results from. I can whole heartedly recommend talking with Spike. Spike is a super-articulate, clear thinker who understands the psychology behind effective community building, both online and offline. His connections and experience in the startup world make him a powerful resource. His knowledge about Lean Startup methodology runs deep: Not only can he articulate the facts, but also the behaviors and psychology shaping the facts. 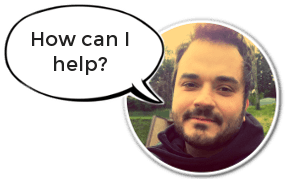 He is your go-to guy for startup advice, and was very helpful to me. In a little more than 30 minutes Spike enlightened us on best practices to find our early adopters, reach out to them, and figure out pricing. We also discussed strategies to grandfather testers and scale out, looked at life time value, and what metrics to measure (and how to measure them) to make sure we're headed in the right direction. It was quite an informative and helpful session for my partner and I - Spike really made us feel like he was there to help and make a positive difference. Thanks Spike! Spike's advice provided an unbelievably refreshing perspective on many of the dilemma's I've been faced with while starting my first venture. He understands investors, customers, and most importantly entrepreneurs, and is able to pinpoint the critical flaws that many times get overlooked. He goes above and beyond what you'd normally expect from a mentor. He truly cares about the internal value of entrepreneurship and continues to stay in contact and follow up with me on my company's progress. I hope that anyone seeking quality advice or direction regarding their venture will reach out to Spike so that you can gain the same benefits that I was able too. Spike did an amazing job of giving me information and advice that I needed to know, but didn't know to ask about. From a simple question like, 'Should I have a third pricing option on my landing page? ', he took the time to explain pricing psychology, gave examples of how different companies approached the topic and their results, and talked through how to bring up pricing in a customer interview. He understood the intent of my question, and gave me great context and background that led to better questions and a richer conversation. I wish more people did that. We're a scrappy nonprofit trying to use Lean Startup principles, particularly regarding how to effectively measure our impact. Spike helped us break down some really tricky aspects we want to measure and figure out ways to track them. He also helped us identify a realistic timeframe for establishing these new metrics as our standards. Also, he's super cool and easy to talk things out with ! Thanks Spike! What is your Google Hangout email address? My calendar changed while you were picking a slot. Could you please try again?